If you don’t want to leave the comfort of their home to catch the Pokémon’s. Here is the simple cheatsand hacks to play Pokemon Go without moving in any Android phone! This trick will be much handy for those who lives in small towns or places where the number of Pokemon is very less. Players can catch numerous Pokemon by just sitting at one place without any need to move around. • Then you need t change the GPS settings to High Accuracy from the pathSettings > Location. • Next select “GPS Service Run” > “Joystick location mode [Pokemon]”. •√That’s it! 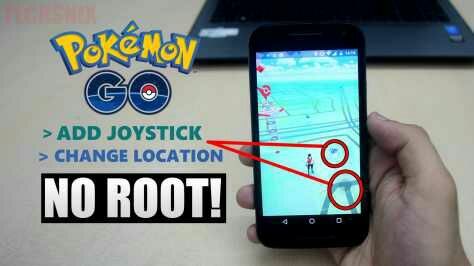 You have successfully setup Pokemon Go Android game to play without moving around!! Enjoy & Share with your Friends Too! !